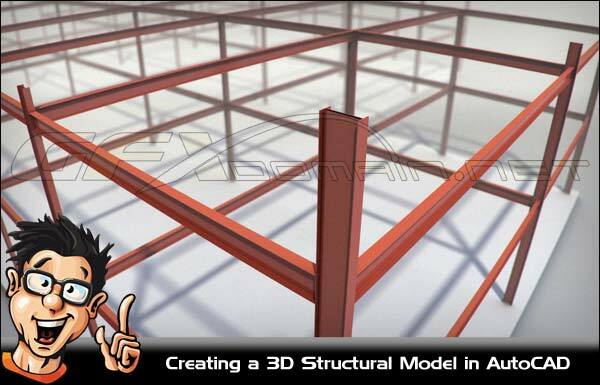 In this set of tutorials we’ll use 3D modeling tools in AutoCAD to create a structural study model. We’ll begin with a column grid diagram that we’ll import as an external reference. We’ll then use Polylines to trace and extrude the footings and foundation from the 2D plan. Once the foundation is in place we’ll then trace and extrude the building core as well as the columns in the plan. We’ll take a look at couple shortcuts and tricks along the way that will save you time and also make working with AutoCAD’s 3D tools a breeze. We’ll finish the training by exploring the Tool Palette as well as creating some lateral bracing for the model. Storage Full, Waiting For upgrade….